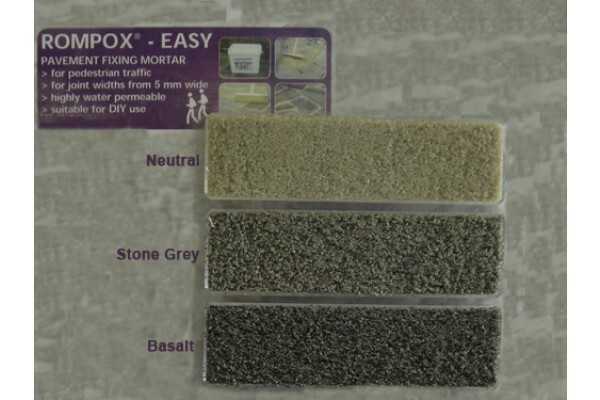 The easiest to use pavement fixing mortar. 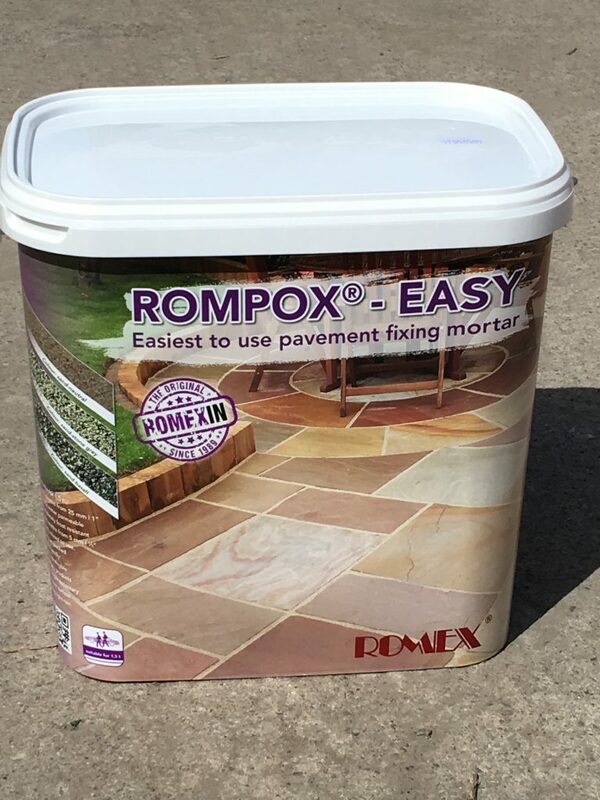 We are proud to announce that we have added Romex Rompox Easy 15kg to our jointing mortar range for season 2017 onwards, all three colours are in stock and are available for overnight free of charge delivery. Ready mixed to use, vacuum packed. No weed growth. Firm under foot. No cement residue. Eco-friendly: 40% renewable primary products. No longer necessary to cover surface during light rain. So simple to use, oustanding second to none finish. Supplied with full instructions on the tub. Building site requirements: The foundationneeds to be prepared according to the expected traffic loads. 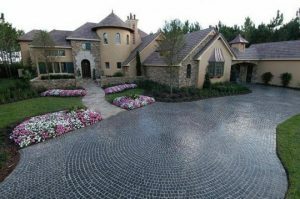 Regulations and leaflets regarding construction of paved stone surfaces should be heeded. Future loads must not cause the surface to settle or loosen stones. 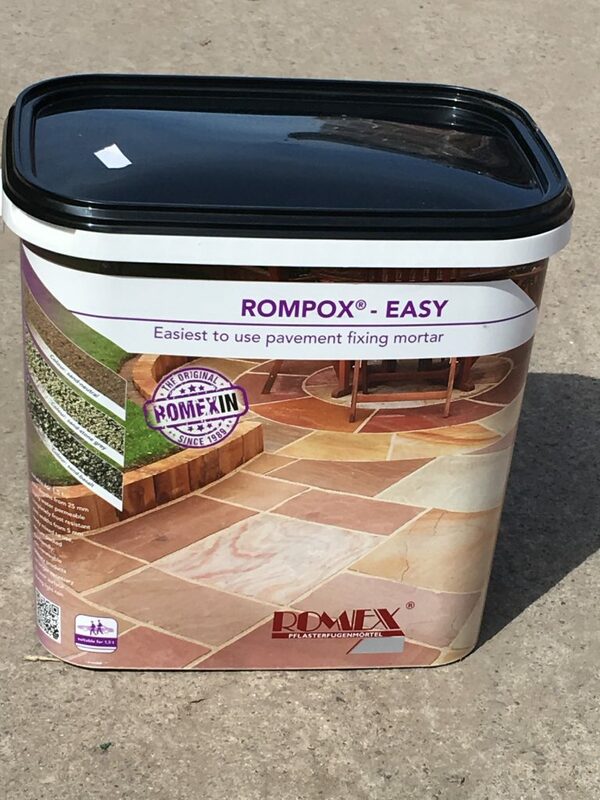 Ideally romex trass-bed – the frost resistant drainage mortar or other permeable bedding should be used. See separate product information. Preparation: Clean out joints to a depth of at least 25mm (minimum joint width 5mm). The surface to be jointed should be cleaned of all kinds of dirt. Any adjoining surfaces that are not to be joined should be taped off. Pre-wet: Pre-wet surface. Porous surfaces as well as higher surface temperatures require more intense pre-wetting. Application: Open the lid of the bucket and open the vacuum bag inside. Pour the pavement fixing mortar immediately onto the surface and using a coarse street broom or squeegee spread it evenly so that it goes into the joints deeply, firmly and compactly. Final cleaning: Finally, clean the stone surface carefully with a fine hair broom, so that it is free of all mortar residue. Sweep diagonally to the joint. Do not re-use swept off material. Any residual material on the stone surface can still be swept off after 24 hours with a coarse street broom. Subsequent treatment: Rain protection during drizzle is not necessary. In case of heavy or permanent rain, the jointed surface should be protected for approx. 48 hours. The rain protection (building sheet/cover sheet) can be laid directly onto the surface. During the intial period, a very fine synthetic resin film remains on the stone surface which intensifies the colour of the stones and protects against dirt. This film disappears over the course of time due to weathering and abrasion. Important instructions: In case of doubt always lay a sample surface before doing the entire jointing. Do not use in permanently wet areas (swimming pools, fountains, drains, drip edges etc. Remove anything that stores water regularly from the jointed surface such as moss, leaves and weeds. The mortar can slowly disintergrate if exposed to permanent water loads or standing water. Only use outdoors. Re-opening of surface: can be walked on after 24-48 hours/final re-opening after 6 days. If raining or elutrifying is carried out, the hardening time may increase by 24-72 hours depending on temperature. The usual safety measures when handling chemicals should be observed. It is not compulsory to identify this product according to the calculatory methods of the general guidelines for classification of products in the EU, according to the latest valid issue. It is not compulsory to identify this product according to the EU guidlines/GefStoffV. Keep out of reach of children. Information: It takes time for the pavement fixing mortar to harden to it’s full strength. This process can take up to 4 weeks or longer, depending on how often the hardening process is interrupted by rain or low temperatures. The pavement fixing mortar really needs dry weather to harden fully. Moisture/cold delays this process. Hardening will eventually take place, sooner or later. It is recommended, not to use high pressure cleaners on the jointed paved surface during the first month. 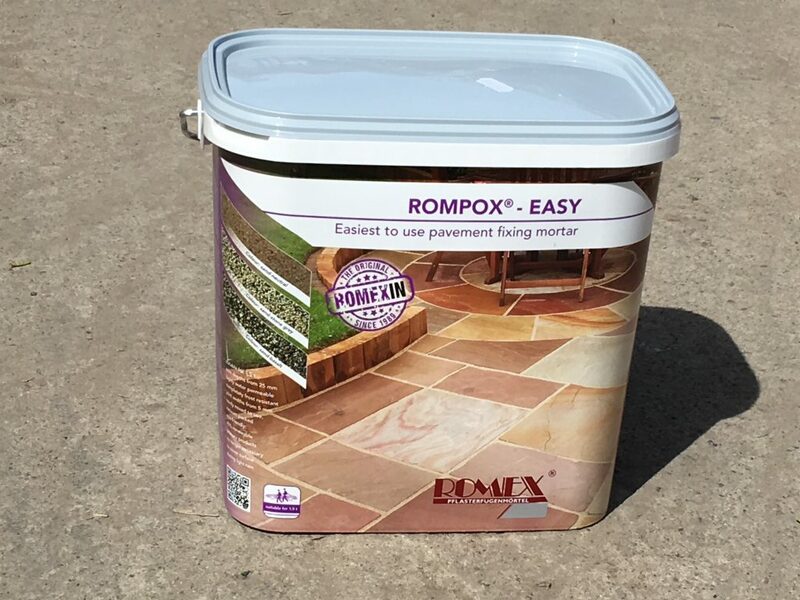 Solvents or solvent-containing colour enhencers (except the Romex – Colour Enhancer) should also not be used on the pavement fixing mortar because these can dissolve the mortar.